The Packers' best bet against Dallas will be to score early and often against a team that isn't built for big comebacks. Almost a year ago, the Green Bay Packers and Dallas Cowboys met with a lot more on the line, playing in an NFC Divisional game which will be best remember for Dez Bryant’s catch — ruled not a catch upon replay review — which would have given the Cowboys the ball at the 1-yard line late in the game. A lot sure has changed since then. The Cowboys are floundering at 4-8 (albeit somehow still in the NFC East race) and without their quarterback, Tony Romo, who is out for the year. 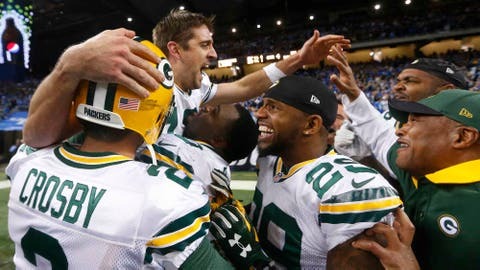 The Packers have a chance to win the NFC North and their postseason odds are strong, yet they are not at all looking like a Super Bowl-caliber team as they were back in the last meeting between these two teams. 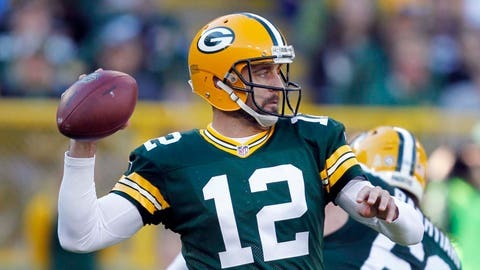 A Hail Mary pass might have helped Green Bay to victory last week, but the Packers still have issues. Without that play the green and gold would have been losers of five of its last six (instead of 2-4, which still ain’t great, obviously). After topping 24 points in five of their first games, the Packers have done it just three times in the last six, with a little help from a certain last-play 61-yard bomb. Of course, Dallas could help provide a lot of cures to what ails Green Bay. The Packers are a touchdown favorite — but then again, they were more than that against both the Lions and Bears at home, and we all know how those games turned out. In other words, take nothing for granted. — As noted above, Green Bay hasn’t exactly been scoring a lot of points lately. If it is one thing Dallas does have, it is a good defense. The Cowboys have allowed fewer than 300 yards in each of their last three games (and six overall) and have only had one team pass for more than 300 yards all season against it. Five times Dallas has limited an opponent to under 200 yards passing. The Cowboys have also held opponents to 16 or fewer points in four of their last six contests. — In a close game, who do you want lining up for the game-winning kick? Dallas’ Dan Bailey has missed one field-goal attempt all season (his success rate is 96.2 percent) and he has made all four of his attempts from 50+ yards. Mason Crosby is 19 of 22 (86.4 percent), including 7 of 9 from 40-49 and 4 of 5 from 50+. — Here’s the story of two quarterbacks. Aaron Rodgers in five games vs. Dallas (including playoffs, four starts overall) has 0 interceptions. In his last two games against the Cowboys, he has thrown for 605 yards and six touchdowns with a QB rating of 129.2. Dallas’ Matt Cassel, meanwhile, hasn’t won consecutive starts within the same season since Weeks 8-9 of the 2011 season (when he actually won four in a row with a bye week in between). He made two 2 more starts in that 2011 season (both losses), eight in 2012, six in 2013 and three in 2014. This will be his seventh game of 2015 (six with Dallas, one with Buffalo). And, yes, the Cowboys won last week. — If Green Bay can get up big early, this one might be over quickly. Dallas is not a team made for comebacks. The Cowboys are 27th in NFL in yards per game, 28th in passing net yards per game and 31st in percent passes intercepted. There are only five teams with fewer passing yards per game than Dallas — Titans, Dolphins, Vikings, Rams, 49ers — and the Packers beat three of them. Dallas also doesn’t create turnovers or get sacks. The Cowboys have just eight turnovers overall this year and are 27th in the NFL in passes intercepted percentage, and accumulate less than two sacks per game (23 in 12 games). — The weather outside might not be frightful yet — although rain is in the forecast for Sunday — but the Packers are world beaters in Lambeau Field in December regardless the conditions. Under head coach Mike McCarthy, Green Bay is 17-3 at home in December while Aaron Rodgers is 12-1, with 12 straight victories. Dallas is hardly a high-powered offence. The Cowboys will grind out short runs and dink and dunk their way down the field with passes to tight end Jason Witten (5.0 receptions/game) and slants to Cole Beasley (3.3 rec./g, 10.1 yards per catch). But Dallas will once in a while go for the home run and Bryant (13.2 yards per catch) and Williams (15.8 yards per catch) are the big threats. Hold them at bay, and Dallas’ plodding offense gets even worse. But, if they make some plays, it gives Dallas life. For the most part, though, they’ve been held in check this season as the two wideouts have combined for only five touchdowns. Honestly, there isn’t too much else to worry about on the Cowboys’ offense.